Kirsten is a multi-talented & multi-lingual cosmopolitan with a B.A. in Journalism, a degree in PR/Marketing, a zest for life and lots of experience. Kirsten is a Danish-born ”Jack(ie) of all trades” and a truly remarkable media whiz with degrees in journalism and PR/marketing. Through her company, MAD FROG PRODUCTIONS, she has worked in many countries and her freelance work has appeared on national TV-channels and in over 100 publications in Scandinavia, Europe, the UK, USA and New Zealand. 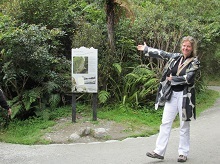 Her tour guiding career takes her around New Zealand, Australia, USA, Japan and the Pacific. 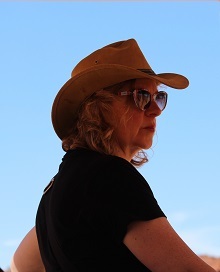 After years of being a successful freelance journalist based in Denmark, Kirsten moved to New Zealand at the end of 2002 to manage a boutique hotel in Marlborough. A year later she resumed her freelance lifestyle which since 2005 has also included sharing her love of New Zealand with tourists - either preparing their itineraries or guiding them around this amazing country in Danish, English or French. Kirsten also manages tours in Australia, USA, Japan and the Pacific (cruises) and hosts unique New Zealand wine tastings. Kirsten is based in sunny Nelson, New Zealand, but her world is limitless.